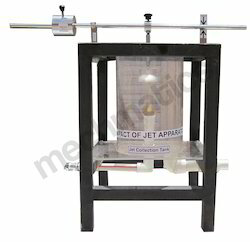 Providing you the best range of hydraulic test bench, impact of jet apparatus, inverted u tube manometer, reynolds apparatus, pipe fitting losses model and bernoullis theorem appratus with effective & timely delivery. 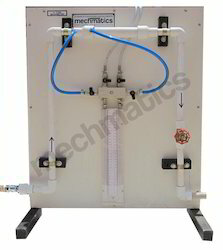 The Hydraulic Test Bench supplies a controlled flow of water to a variety of fluid Mechanics experiments. 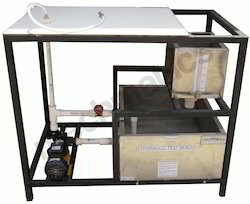 The bench consists of a sump tank, self priming monoblock pump, measuring tank and working surface. 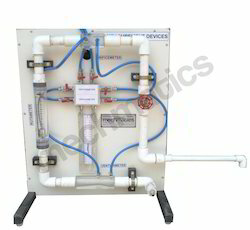 Manometers are available in Single Limb; U-tube; Multi-Limb Inverted U Tube and Inclined fashion. 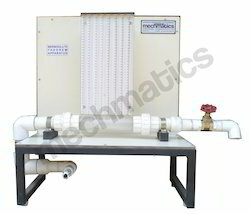 The length can be customized based on requirement. Tubes Mounted on on Acrylic Housing with Linear Scale. Upstream Size 35 mm Diameter.